Whether you need to repair a leaking roof, fix damage caused by a hail storm, or completely replace a roof that is past its prime, Daech & Bauer Roofing has the knowledge and experience needed to get the job done right. 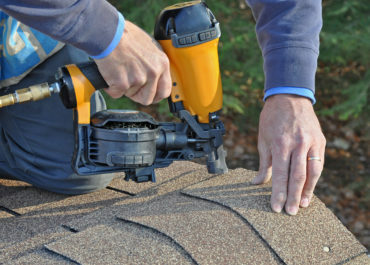 We offer comprehensive roofing repair and replacement services for homeowners throughout the Edwardsville, Illinois area, and we are proud to have successfully completed more than 10,000 projects. Our experience with the insurance claim process is just one of the many reasons you should choose Daech & Bauer to repair your damaged or leaking roof. If severe weather has damaged your home’s roof, dealing with your insurance company can be a confusing and time-consuming process. To help speed up your claim, we will participate in your insurance company’s roof inspection to ensure that all damage is noted. Then, we will review the claim summary to make sure you receive the compensation needed to return your roof to optimal condition. Once the claim has been paid, our expert technicians will complete your repairs with precision, and we will back our work with a five-year warranty to give you added peace of mind. What’s more, we use products from the top manufacturers in the industry, including Owens Corning™ and CertainTeed, to ensure your roof is built to last. If you’re searching for a contractor that will repair the leaking roof on your Edwardsville, IL home with precision, contact Daech & Bauer Roofing today.